Does he forget from whence he came? Has he forgot from whence he sprung? Witness his lazy, lousy son! Without a grain of common sense. See with what consequence he stalks! With what pomposity he talks! The stupid blockhead and the liar! How long shall vice triumphant reign? How long shall mortals bend to gain? And leave her votaries in disgrace? With what an air he mounts his coach! A dirty parasite and slave! The pliant bow, the forehead bland ? 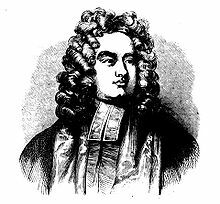 Jonathan Swift (1667 - 1745) was an Irish author and clergyman who is best known for his novel, Gulliver's Travels; the book has never been out of print since its initial publication. Well-educated and well respected, Jonathan played an active role in British politics, often expressing his opinions in searing satirical works. I suspect the :"C.....n"is Crown, a reference to British control in Ireland. Spleen never goes out of style! Jayne, thanks for sharing this eternally relevant poem.